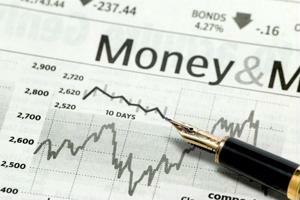 The Federal Reserve recently announced its decision to increase short-term interest rates. In the statement, the organization said this mandate would "raise the interest rate paid on required and excess reserve balances to 0.50 percent, effective December 17, 2015." Though this change affects several aspects of business operations, it could have a particular impact on supply chain financing. When interest rates are raised, many businesses are immediately forced to see where and how they can cut costs. However, as Rick Erickson suggested in an Industry Week article, supply chains, specifically those handling the transportation of products, are presented with the advantageous opportunity to implement a financing strategy that can help with cash flow management. "As companies face increasingly complex global supply chains, the importance of disciplined working capital practices cannot be overstated," Erickson argued. And while cash flow management should be a staple of all company operations, it is now especially important for supply chains. Erickson noted that logistics, freight and freight spend are key areas that require special attention. By using an electronic system for all transactions and payment processes, companies will have the advantage of increased visibility and insight as well as improved cost controls. Erickson also suggested that shippers and logistics providers could maximize working capital by integrating operations into one digital portal, a process that would mutually benefit both buyers and suppliers. In an interview with PYMNTS.com, Taulia Chief Product Officer Markus Ament also indicated that the focus of supply chain finance should be on working capital management. The source pointed out that, unlike the environment of the economic crisis in 2008, where it was common for a company to delay payments in an effort to increase its capital, the advanced technologies available today make reaching new suppliers quick and easy. Ament also said that an important part of effective cash flow management for supply chains is to abandon paper-based payment processing and move all transaction-related operations to a digital platform. By using these technologies, suppliers are able to perform better for buyers. Furthermore, buyers will be able to pay suppliers sooner. Adopting an electronic system reduces the margin of error and increases speed, accuracy and efficiency of cash flow management at each checkpoint of the supply chain. This strategy also heightens the level of transparency, which becomes even more necessary as industry expansion complicates supplier relationships.